Food Pantries are running close to bare! The generous support Community Crisis Services received last year is not possible from just one source. So, we are reaching out to you to help make it happen! 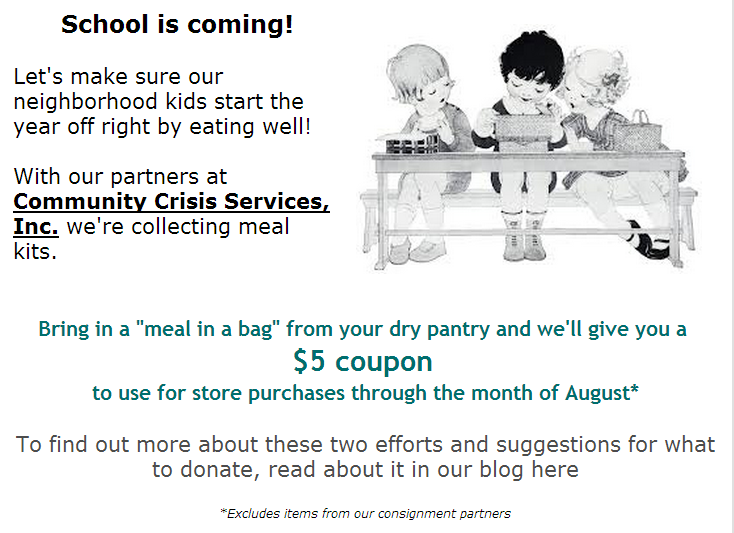 Join our “Meal in a Bag” drive! And anything else that can help create a healthy and filling meal!